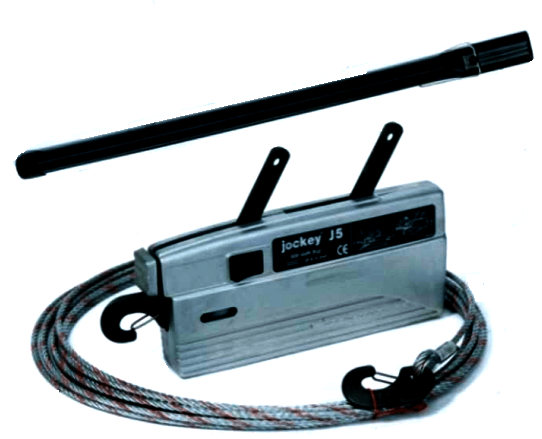 Lightweight and highly portable the Jockey range from the well known Tirfor name offers a convenient device for your tool box which can lift, lower, pull, tension and guy. 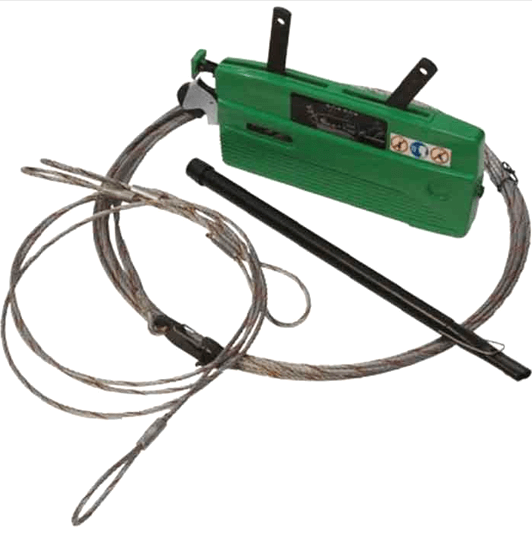 The Tirfor Jockey cable puller is a compact device which can be used for lifting and pulling tasks as well as tensioning and guying applications. 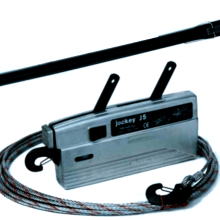 The Jockey is light in weight with the highest lifting capacity model weighing just 3.75 kg (without rope) meaning it is very easy to move around to wherever you may need to use it. 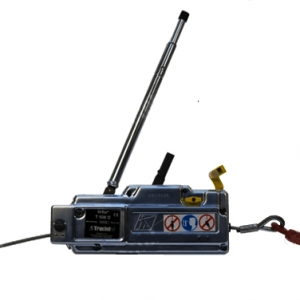 This universal lifting, lowering, pulling and tensioning device is ideal for many different operations and a perfect tool to carry around in your work van or tool box. 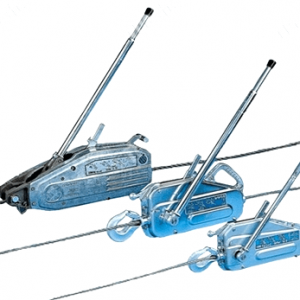 The Tirfor Jockey cable puller is available in two models; the Jockey J3 which has lifting capacities up to 300 kg, and the Jockey J5 which has top lifting capabilities of 500 kg. The total load capacity can be increased however, this is done with the use of sheaves, please refer to our main Tirfor winch page for more details of the sheave block technique. Both Tirfor Jockey cable pullers are supplied in a kit form which includes the machine itself, the operating handle/lever, and 10 metres of wire rope with a safety catch hook specifically for use with the Jockey and 2 wire rope anchor slings of 1 & 2 metre lengths. Other lengths of wire rope can be specially ordered. 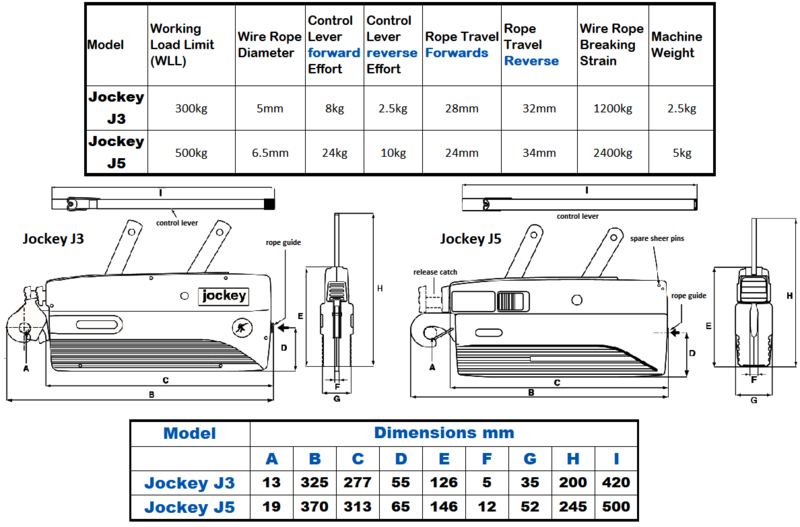 It must be noted that the wire rope issued with the Jockey is specially designed to suit the machines high tolerances necessary for the reliability and smooth operation of the device, the use of any other rope is not advisable, and the manufacturer will not guarantee safe operation. 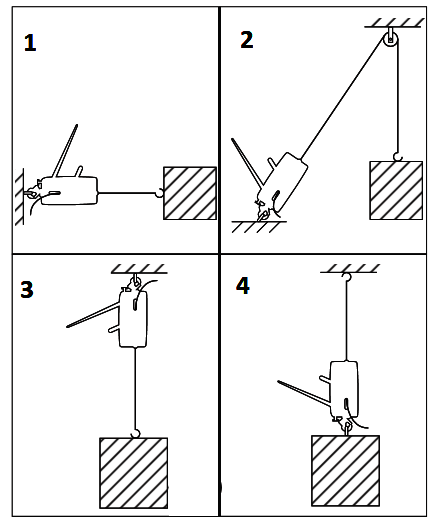 The Tirfor Jockey can be used in a variety of ways as shown ; it can be anchored to a suitable fixing point with the rope travel going towards the device (as in picture 1, 2 & 3); or travel along the rope with its load with the rope anchored to a fixed point (as in picture 4). 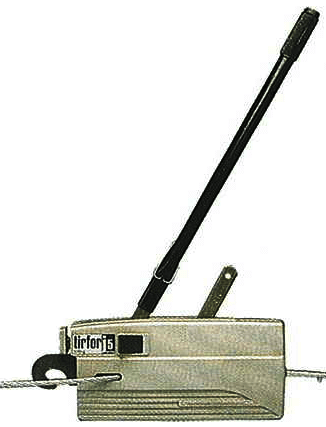 As with all Tirfor machines the Jockey is just as easy to use, simply position the handle onto the forward or reverse lever and crank, or push & pull to advance or retract the wire rope and load. If the anchor point is in a high location then you should anchor the rope first, before fitting the rope into the Tirfor. 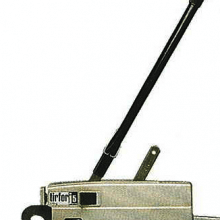 Each Tirfor Jockey incorporates a rope release mechanism to enable easy threading of the rope, by using the release catch the jaws are released and so should never be used whilst the machine is under load. 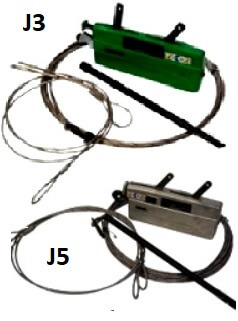 The Tirfor Jockey J5 includes sheer pins as a fail safe mechanism; these will sheer off if overloaded. The sheer pin can be replaced and spare pins are stored on board, inside the casing, these are accessed by unscrewing the side casing. 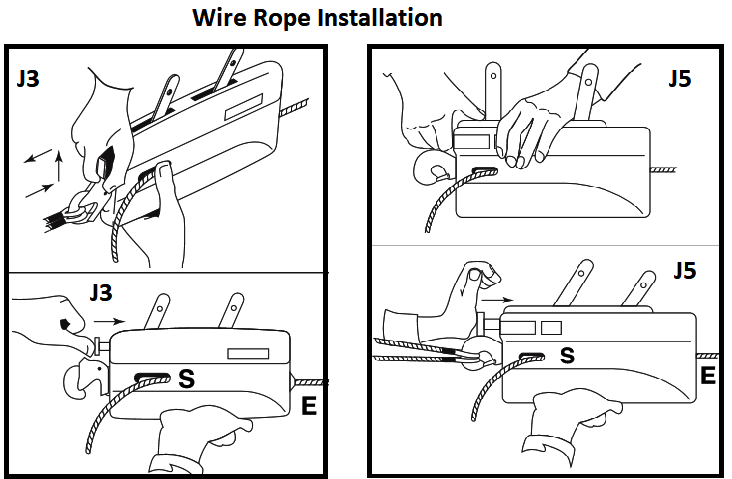 Fitting the wire rope is a relatively simple process using the release catch to disengage the jaws to allow the wire rope to easily pass through. 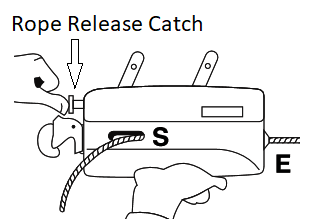 Remember to re-engage the release catch on completion to make the jaws grab the rope once again. Keeping your Tirfor Jockey clean and well lubricated will ensure the machine operates smoothly and safely, whilst ensuring a longer working life. Always thoroughly read the instruction manual supplied with each Tirfor Jockey, paying particular attention to the how to use section and the hazardous operation sections, to ensure you do not use the Jockey in an unsuitable way, creating potential hazards.